One of the items on my list to begin for the weekend that Shelly were out with her girlfriends were my stair project. The goal was to complete the project before my April pre summer party. Unfortunately, I’m not going to complete that before my party thanks to Home Depot and UPS. 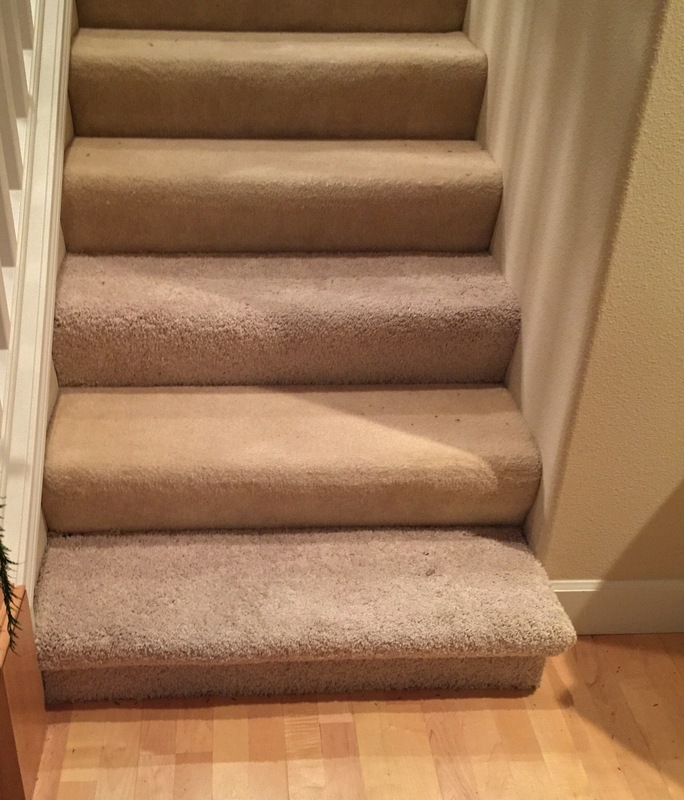 As I’ve shown in several posts my stairs have three steps with different carpeting. One of my wing women (Jackie) was and still is adamant about me getting my stairs fixed. About a month or two ago, I went shopping at Home Depot for stair threads. I found stair thread all right but it turned out they only carry oak stair threads. I asked a sales rep if one of their other stores would have them. He said they only carry the stair threads in oak. Rhetorical question: “Why would a big box store like Home Depot only carry one type of stair thread in their physical stores?” It’s the dumbest thing if you ask me. Anyway since I couldn’t find maple stair threads the salesman told me to shop online. So I did just that later that day. Per my online order confirmation my maple stair threads were to arrive at my house within 2 to 3 weeks. I had also ordered another small part for my kitchen sink, which also were not available in the physical store locations but only online. Again dumb if you ask me. Fast forward…three weeks I received a call from my local USPS branch that they’re trying to deliver a package but the address didn’t make sense. After a few minutes conversing with the USPS agent I realized it was my kitchen part I ordered from Home Depot. The USPS agent corrected the address and I received it the next day. However my maple stair threads still hadn’t arrived. I replied, “I hadn’t received those stair threads but that I had received the kitchen part.” Then I told the rep about my odd phone call from the USPS agent where he had to correct the address on the package. I asked the Home Depot rep, “Could you tell me the address my stair threads were delivered to?” She rattled off the address and came to realize the city and zip were incorrect. I informed her, “That’s not my address.” She looked at my account and confirmed the address my stair order was delivered to was not the same as the ship to address on my account. She apologized and reordered the stair threads and gave me a 20% discount for my troubles. She also informed those would arrive in about two weeks. Lastly she informed that she’ll kick off an investigation on why their carrier delivered it to that address. Two weeks passed and the order the Home Depot rep placed on my behalf was delivered to my house. But it was the wrong product. Instead of actual stair threads, I received stair thread caps, which fit over the existing stairs.